Slay in this gorgous Jovani jvn67098 dress! This beauty has a deep v neck with a cross detail on top. The back is slightly open. There is also a high slit. 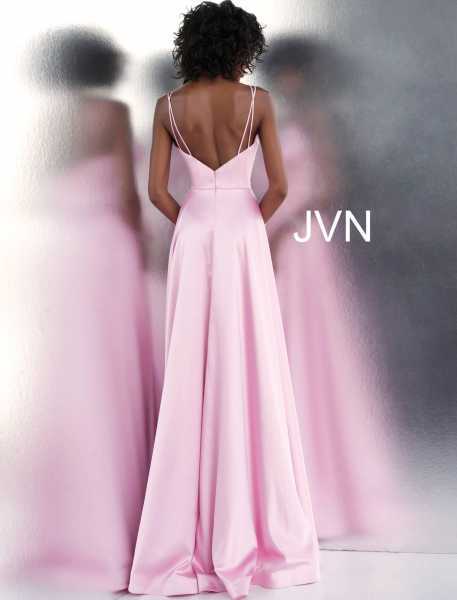 This satin gown is in every girls dreams!